Colorful luxury in the heart of Rome. JK Place Rome opened its doors in 2013 and ever since then it has easily become one of our favorite hotels in the eternal city. JK Place is housed in Rome’s former school of architecture. Architect Michele Bönan did an amazing job transforming the former classrooms into 30 beautiful rooms. 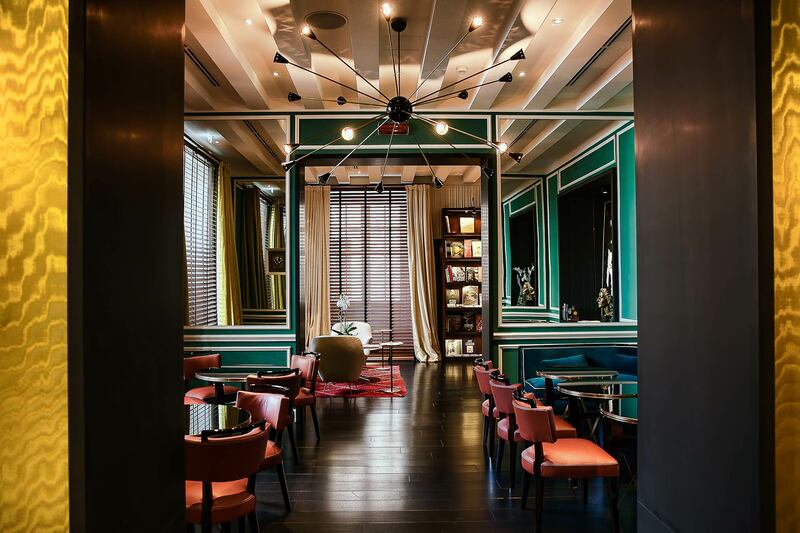 The interiors are stunning: expect a bright color palette, stately four-poster beds and common spaces adorned with Berber rugs and a futuristic chandelier. 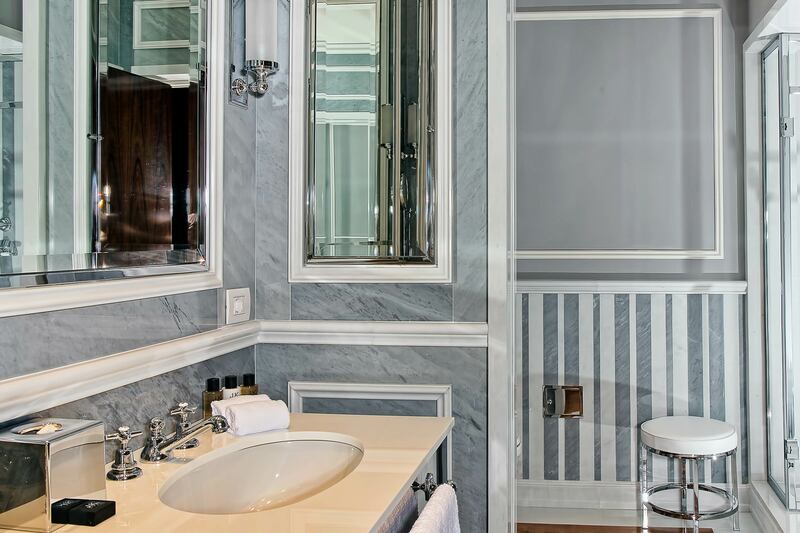 The guest rooms feature mid-century furniture and the bathrooms are decked out in striped Italian marble. On the weekend, the hotel restaurant JK Place Cafe serves a fantastic brunch with all the usual staples and some truly Italian additions like pasta made to order. Kids eat for free! If you’re looking for a place to have Aperitivo, head on over to the bar at the far end of the restaurant. With 50s photography on display, round brass tables and a wood paneled back, it gets you into the Dolce Vita mood easily. Not sure what to order? Go for the house cocktail ‘JK sour’ with Amaretto, passion fruit and lemon. 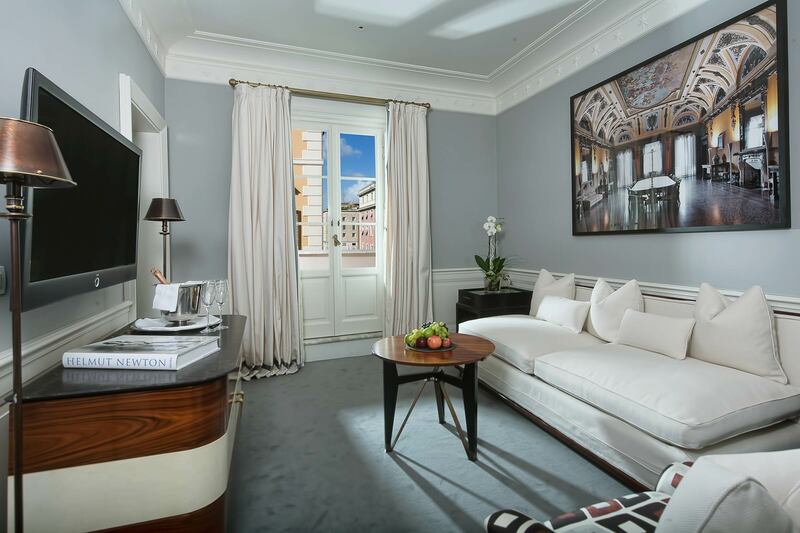 JK Place Rome has two equally beautiful sister hotels in Capri and Florence.